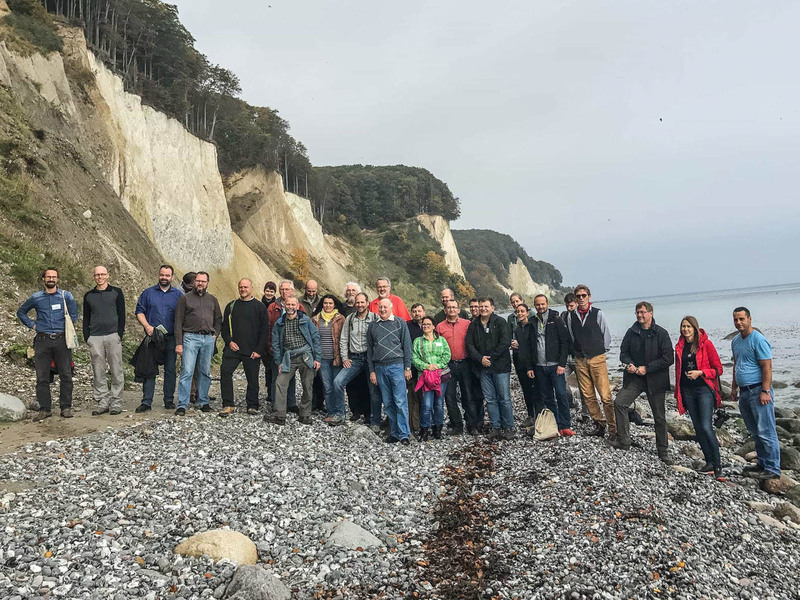 From 12-15 October 2017, 33 experts representing 12 European countries including the European Wilderness Society convened on the Isle of Vilm, in the Baltic Sea, to further develop the European Beech Forest Network. The European Beech Forest Network is non-profit and non-governmental registered association and has the goal to build and grow a platform of interested parties to develop and share knowledge and experience with the expressed intention of influencing policy, management and overall protection and practice of the European beech forest ecosystem – with a special emphasis on old-growth forests in wild and wilderness areas. So far, the European Beech Forest Network supports 126 protected valuable beech forests from 25 countries. At the meeting on Vilm the members of the association discussed among many other important items the extraordinary challenges of the management of the extended serial World Heritage property, which – with 78 component parts in 45 protected areas in 12 countries – is the most complex and ambitious in the UNESCO portfolio, requires extraordinary efforts. The experts also expressed their serious concerns that the observed problems of unsustainable logging and forest degradation in the Carpathians, where the largest old-growth beech forest remnants are located, seem to have accelerated and aggravated in the last year and concluded that there must be a concerted pan-European effort to safeguard the last old-growth beech forest ecosystems in times of rapidly growing global demands for timber and tree biomass. Several experts also highlighted the typical insufficient capacities in many protected areas needed for effectively meeting the management obligations arising from the World Heritage Convention. Called for the establishment of national or regional education centers and fostering relevant research and stressed the importance of empowering and integrating civil society in forest ecosystem management and conservation. All participants also underlined the risk of the World Heritage property being put to the red list if the requests expressed in the World Heritage Committee decision 41 COM 8b.7 are not decisively addressed by the States Parties in a timely manner and therefore demanded that the States Parties to the serial World Heritage property must establish a permanent and effective secretariat as mechanism for its integrated management as well as to ensure long-term sustainable financing.